At least according to Google’s Executive Chairman, Eric Schmidt. The battle will be won by none other than he who can innovate at the highest level, presumably by winning the services of the best and the brightest. If employee job satisfaction is indeed the determining factor, Google has an early lead, albeit Apple is quickly catching up. Can Apple’s resurgence in job satisfaction, presumably leading to retention of creative employees, produce continued innovations like fingerprinting and financial payments and ultimately cut into Google Android’s dominant 75% global market share? Google tops the list once again, making its eighth appearance and fifth time as # 1. Using a plethora of visualization techniques to lend confidence to employees of its desire to “do good”, Google is matching employee volunteer hours with cash donations and sponsoring charitable overseas missions for employees. For years, Fortune has been partnering with the Great Place to Work Institute to appraise over 250,000 employees from over 250 firms. In 2014, 257 firms participated and over 252,000 employees were surveyed. Any company at least five years old and 1,000 employees wide is eligible. 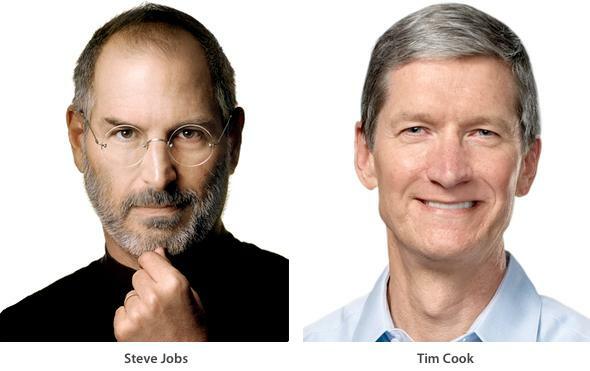 In a list of 100, superstar Apple is absent. At first glance, this seems paradoxical. Apple is the epitome of innovative, it is building the world’s greenest building, using about 95% renewable energy, and consistently scoring #1 on consumer satisfaction surveys. Thus, Apple’s absence sheds light on the notable difference between a company’s focus on customer versus employee satisfaction. Consumers worldwide are happily plugging in to their iPads and iPods, but what’s happening inside the walls of innovation? Steve Jobs was laser-focused on his customers, perhaps at times bypassing employees. Jobs eliminated the contribution matching program to enhance profitability. He sought to lower supply chain costs – often avoiding supplier social issues, i.e. horrid labor conditions – all to enhance the customer experience. Yet, even after profitability rose, the contribution matching program still ceased to exist. Moreover, excessive overtime and poor working conditions were prevalent in Chinese factories producing Apple products. “You know, we want to really enrich people’s lives at the end of the day, not just make money. Making money might be a byproduct, but it’s not our North Star.” – Tim Cook, CEO Apple. Just weeks after inauguration as CEO, Cook re-established the employee contribution matching program: Apple’s pledge to match up to $10,000 of an employee’s personal donations to a charity of his/her choice. He also sought to eliminate supply chain issues and he significantly heightened the company’s focus on social concerns. He has publicly advocated the importance of mitigating climate change and alleviation of worldwide social deficiencies. At a recent shareholder meeting, Cook told his shareholders to “get out of the stock” if they were to solely be focused on ROI. Simply put, Tim Cook gets it. Everyone’s doing it. At least that was the mantra in 2008. After the market crashed in ’08, Google, long taking care of its employees, repriced its stock options in hopes of incentivizing employees to stay. Apple did not. That being said, Cook recently took a page out of Google’s playbook when he voluntarily instituted a stock divided for Apple’s employee-owned Restricted Stock Units in 2012, matching its dividend payment on common stock – a tremendous morale booster for employees. For my U.S. readers, it may be difficult to fathom that Apple does not hold the number one market share position. Especially when Apple just reported the most profitable quarter in corporate history. But, in fact, its true. 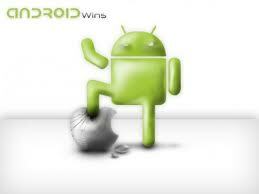 In 2014, Android shipments reached a new milestone, exceeding 1 billion for the first time…ever. Not only was this a significant increase from the 780.8 million units delivered around the world in 2013, but this figure made Google king of 81% of the global market. Compare this to Apple iOS’s mere 15% share (192.7 million shipments worldwide) and the “winner” is obvious. For over a decade, Apple’s closed system existed on the fringe of the computer industry, playing second fiddle to Microsoft’s open system. When innovation at Apple was high, market share was a mere 10%, and when innovation waned, market share dipped even lower. Times were so tough that before Steve Jobs returned, Apple’s losses were mounting. Fast forward to present day: Apple recently reported $74.6 billion in revenues for its fiscal first quarter. 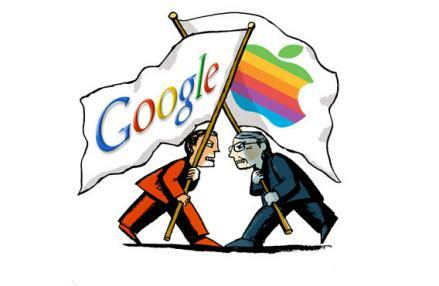 The battle between Apple and Google has tremendously positive implications for stakeholders. Customers benefit from continuous product innovation. 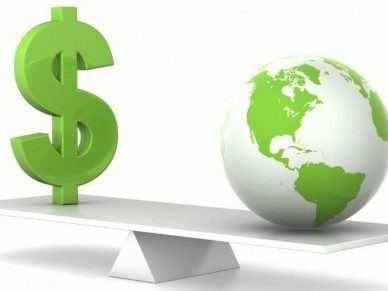 Suppliers benefit from lower costs. And, as exemplified by Apple and Google’s fight to the top, employees benefit – massively – from the endless battle to appease those who walk in and out of the company doors every day. If innovation will be the deciding factor in the Apple / Google battle, winning the hearts and minds of employees is job #1. How to continue to stay competitive? I love the new Apple payment system -I can leave the wallet at home! Great move, Apple! Reminds me of your market basket article!